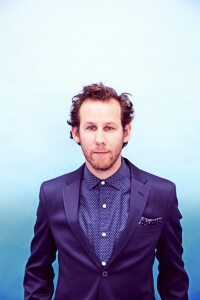 Now that his latest album ‘Love Is The Great Rebellion’ is at Aussie retail (and is all set to debut on tomorrow night’s ARIA albums chart), Ben Lee has confirmed that he’ll be back in the country in October for a national tour. Most of his biggest fans on the East Coast, naturally, will be heading along to the singer’s trio of shows this weekend, but they’ll get another chance to catch him live later in the year with eight shows announced across the country. The tour kicks off in Brisbane at Woolly Mammoth on October 03 and will make stops in Sydney, Melbourne, Perth and Adelaide, along with shows in Newcastle, Wollongong and at Brass Monkey in Cronulla. Frontier Touring members get a pre-sale from Tuesday June 09, with general public tickets to follow from 10am local time on Friday June 12.